Our practice offers state of the art technology and the very latest equipment to assure consistency in the quality of endodontic treatment. 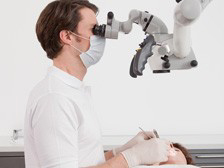 Our practice is equipped with a Surgical Operating Microscope. Magnification and fibre optics illumination are important tools that assist us in performing the technical aspects of endodontic treatment. Digital radiography is a form of X-ray imaging, where digital X-ray sensors are used instead of traditional photographic film .This gives us an instant on-screen image. Advantages include time efficiency through bypassing chemical processing and the ability to digitally transfer and enhance images. Also less radiation can be used to produce an image of similar contrast to conventional radiography. 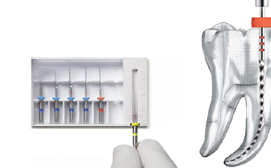 The cleaning and shaping of the root canal is assisted by the use of fine instruments made of a distinctive alloy of nickel-titanium, which allows smooth and very passive cleansing of the root canal. These instruments are used with an antibacterial rinse to remove the infected tissue from the root canals. 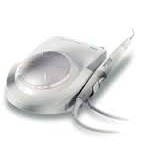 With the use of ultrasonic in root canal treatment it is possible to clean and disinfect root canals effectively. 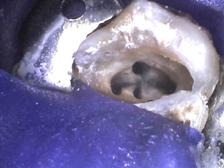 The removal of fractured root canal instruments and the detection of hidden entrances are further applications. 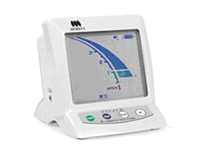 An electronic apex locator is an electronic device used in root canal treatment to determine the position of the apical foramen(the opening at the end of the root of a tooth) and consequently it tells us the length of the root canal space. It has an accuracy of 90-95%.